Customer experience has become the battleground for differentiation as companies compete in an increasingly commoditized world. Businesses of all kinds — online, omni-channel, old-school brick and mortar, B2B and B2C — recognize that product, price, and brand aren’t enough to gain the attention of fickle customers and discerning clients, let alone earn their trust. 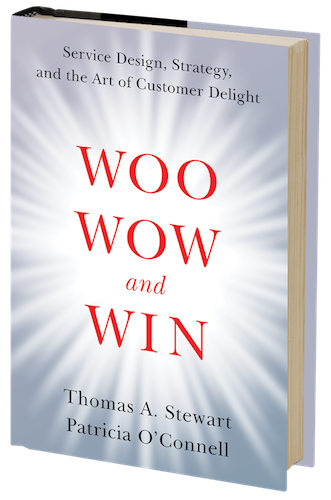 Based on interviews, research, and work with executives at scores of companies, @Thomas A. Stewart and I think it’s safe to say that many of them still struggle to deliver experiences that can win customers. Our work has also led us to believe that service design – the strategic discipline that ensures your customer gets the experience you want them to have – is the key to closing that gap. Tom and I created this new LinkedIn Learning course to help you understand what service design is; to demonstrate how you can use service design to differentiate yourself – consistently and profitably; and to underscore how design is different for products than for services so you can design your services accordingly. Service design forces you to clarify your identity and sharpen your value proposition. It makes you answer such questions as: Why do people come to you? What is it that they’re looking for that they can’t get from somebody else? What are the things you absolutely have to get right to deliver on your promise to customers? Service design isn’t about what you can do; it’s about what you will do. Can is about ability. Will is about strategy. That is what separates and elevates service design from the functions in your company, turning it into a strategic tool that brings functional skills together to create a winning customer experience. Mistaking customer service for customer experience is one of the biggest mistakes that businesses make when it comes to thinking about their customers. Customer service is a function — one that usually gets employed when something doesn’t go right. Often companies think of customer service as a cost to be minimized. Too much reliance on it may well be a sign that you need service design. Stat. You need to be proactive in imagining and executing every aspect of your customers’ interaction with your brand, from start to finish and then back again to repeat business. You begin by deciding who is the right customer for you. Too many businesses get caught in the trap of thinking “the customer is always right” and trying to serve customers who aren’t a good fit. The customer is always right – only if it’s the right customer for you. Once you accept that, you can start designing your business around the idea of serving those “right” customers. You can determine the experience you want to create for them. Another big misconception is that customer experience should be about “surprising and delighting” your customers. Superior customer experience is about delighting them, period. Surprises are confusing for both customers and employees. Why should doing a great job be a surprise for your customers? Delight is the byproduct of reliability, your ability to deliver on your promises, being true to your brand, and providing a coherent experience that meets the expectations you’ve set for your customer base. 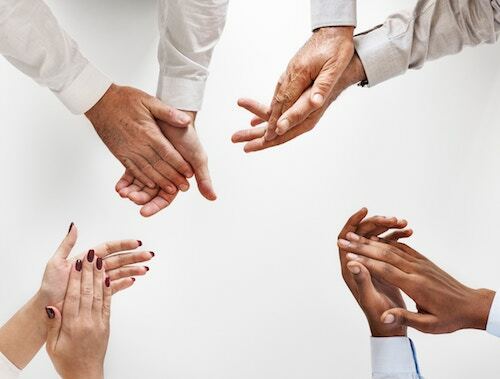 Delighting customers creates what we call an “Ahh moment.” That’s when customers surrender to you because they know they are in good hands – your hands. They know they are getting what you promised – and what they expect. Your ability to delight your customers depends on getting it right both “onstage” – what the customer sees – and “offstage” – what you do behind the scenes. We’ve developed a scorecard that can help you evaluate the five critical elements of both onstage and offstage activities, as well as a series of questions to help you figure out how and where you can deliver more value to your customers. The idea that services can and should be designed is only about two generations old. Before that, services were delivered by guess and by gosh, with a lot of old ideas portaged over from manufacturing. But products and services are different, because for a service to happen – for an experience to be created – there has to be interaction between two parties. Services are organic, of and in the moment. A customer can return a product, but they can’t return a service. That’s why the design of a service — what it does and doesn’t do, the experience it creates, the value it delivers – is fundamental to any service business, whether it’s a hair salon or an investment bank. Empathy lies at the heart of great customer experiences, which means putting yourself in the customer’s place so that you experience things as he or she will. Doing that will help you understand where you’re making your customers work too hard, where you need to innovate, and where you can create more value for them. In creating value for customers, you become more valuable to them. It’s a virtuous circle, because if you’re doing things that benefit your right customers, that customer will benefit you. Want to learn more about delighting your customers? Watch our full course on LinkedIn Learning for free.